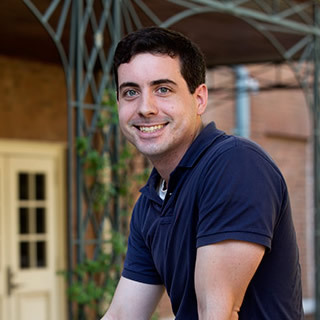 At Beeson Divinity School, we frequently say, "Above all else, we want our students to be men and women of God." We welcome you gladly to join with us as we press toward the high calling of God in Jesus Christ. 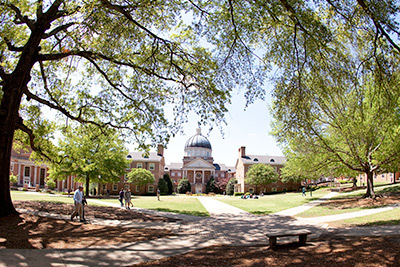 Samford University’s Beeson Divinity School opened its doors in the fall of 1988 to an entering class of 32 full-time students. Much has changed. The Beeson Divinity School family now includes more than 1,150 graduates serving the Lord on six continents. Much remains the same. We continue to be loyal to our core commitments. We are committed to the life of the church, to the practice of spiritual disciplines, to the total truthfulness of Holy Scripture, to the centrality of preaching, to the mission and unity of the church in the world, and to the great principles that characterized the Protestant Reformation. 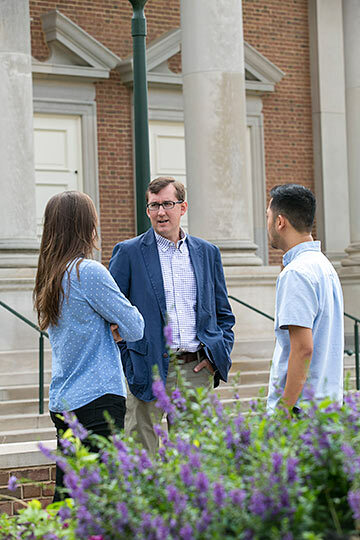 At Beeson Divinity School, we frequently say, “Above all else, we want our students to be men and women of God.” We welcome you gladly to join with us as we press “toward the high calling” of God in Jesus Christ. Soli Deo Gloria! 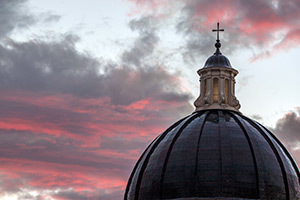 On February 9, 1988, the Board of Trustees of Samford University authorized the establishment of the School of Divinity beginning in the 1988-1989 academic session. In one sense this action fulfilled the founding purpose of the University adopted in 1841 which provided for "the establishment of a Theological Institution, connected with the college hereinafter established." In December 1988, the Samford Board of Trustees voted to name the school the Beeson School of Divinity in honor of Ralph Waldo Beeson and his late father, John Wesley Beeson. Ralph Beeson provided the largest gift from a living individual in Samford history to establish the first divinity school at a Baptist college or university in the nation. Beeson Divinity School is open to persons from all Christian denominations. Mr. Beeson's founding vision was that Beeson Divinity School would be a place that trains "pastors who can preach." Although many of our students and graduates find places of service outside the pulpit, our aim is to give special attention to the pastoral ministry. 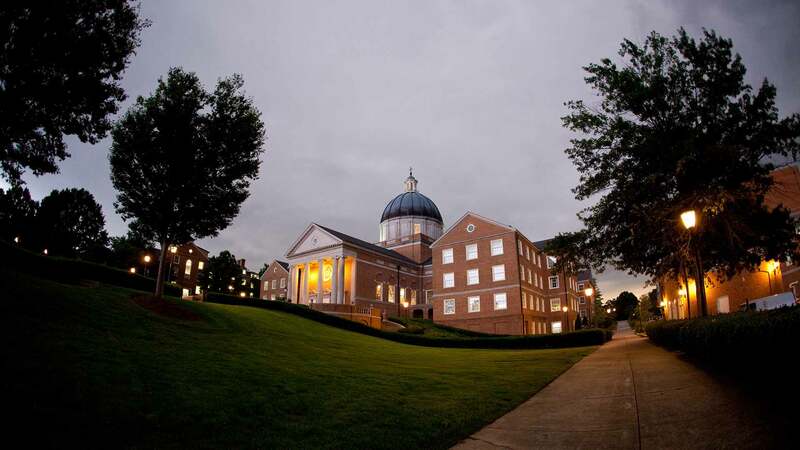 Beeson Divinity School is one of ten schools that make up Samford University. worship the Triune God and to encourage the practices of Christian spirituality. We are committed to the great tradition of historic Christian orthodoxy. We are committed to the full inspiration and total truthfulness of Holy Scripture. We welcome and celebrate denominational diversity within our faculty and student body. We are committed to the theological principles characterized in the Protestant Reformation: Sola Gratia, Sola Fide, Sola Scriptura, Solus Christus and Soli Deo Gloria! We believe in face-to-face theological education for the purpose of face-to-face gospel ministry. Thus, we maintain a low faculty to student ratio (1:7) and keep class sizes small (average 12-15 students per class). And all faculty and full-time students participate in weekly faculty-led mentor groups. Because of these commitments, we do not offer online or distance education. We believe that, more than anything, worship of the Triune God forms us into the image of Jesus Christ and fits us for ministry. Thus, all faculty, staff, and full-time students are expected to worship together in weekly chapel services. Christian worship unites us in fellowship. So we also eat together in the Beeson Commons each week after chapel services. We believe that full-time study and ministry at Beeson requires commitment and sacrifice on your part. Yet we also pray for you and support you as train for ministry. Thus, all full-time M.Div. and M.A.T.S. students receive scholarships covering between 40-100% of tuition. The faculty and staff of the Divinity School are committed to the fulfillment of this mission and to rigorous evaluation of programs, services, and outcomes for the sake of educational effectiveness and quality improvement. Direct measures of learning (2015-16) revealed that 97% of students met or exceeded the faculty's standards for degree objectives, while 3% met standards with some qualification. Indirect measures of learning (2015-16 graduates' self-reported evaluations) revealed that graduates were pleased with how the program of study enhanced their practice of Christian ministry, as expressed in the degree objectives. On a scale of 1 (very dissatisfied) to 5 (very satisfied), the aggregate rating across all degree objectives was 4.03. Direct measures of learning (2015-16) revealed that 85% of students met or exceeded the faculty's standards for degree objectives; 14% met standards with some qualification; and 1% failed to meet standards. Indirect measures of learning (2015-16 graduates' self-reported evaluations) revealed that graduates were very satisfied with the program's effectiveness in facilitating their growth in biblical and theological understanding, their spiritual formation, and their ministry leadership development. The aggregate rating across all degree objectives was 4.35 (1 = not at all effective; 5 = very effective). Direct measures of learning (2015-16) revealed that 100% of students met or exceeded the faculty's standards for degree objectives. Indirect measures of learning (2015-16 graduates' self-reported evaluations) revealed that graduates were very satisfied with the program's effectiveness in developing their understanding of the theological disciplines. The aggregate rating across all degree objectives was 4.6 (1 = very dissatisfied; 5 = very satisfied).